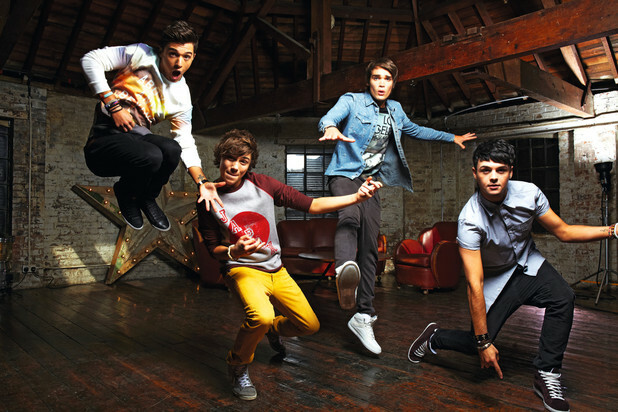 X Factor’s Union J have signed a book deal with Penguin! The Union J boys have signed a deal for their first ever book! Apparently the book will be a mix of a biography and a picture book. We’re guessing that there’ll be more pictures than words though. A lot more. As well as this cool new book the guys are also set to release a Union J annual at the end of the year with even more pictures of the lads! This all pretty impressive because the guys haven’t even released their first song yet. That’s due out some time in June. We’ll definitely be playing their first song on Fun Kids, so keep an ear out on DAB Digital Radio in London and online across the UK! Click here to listen! Also, if you love Union J as much as we do. Then click here to check out our Union J fan page. It’s packed full of pictures, videos and the latest gossip. Click here to explore!